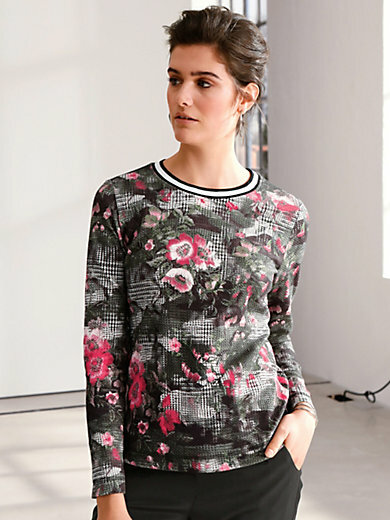 Round neck top by LOOXENT with fashionable print comprising floral and houndstooth motifs. The striped ribbed part made of 95% viscose, 5% elastane at the neckline adds a fashionable contrast. Straight fit. Soft, shape-retaining jersey with waffle texture made of 60% cotton, 35% polyester, 5% elastane. Length approx. 26ins. The round neck top is machine washable.